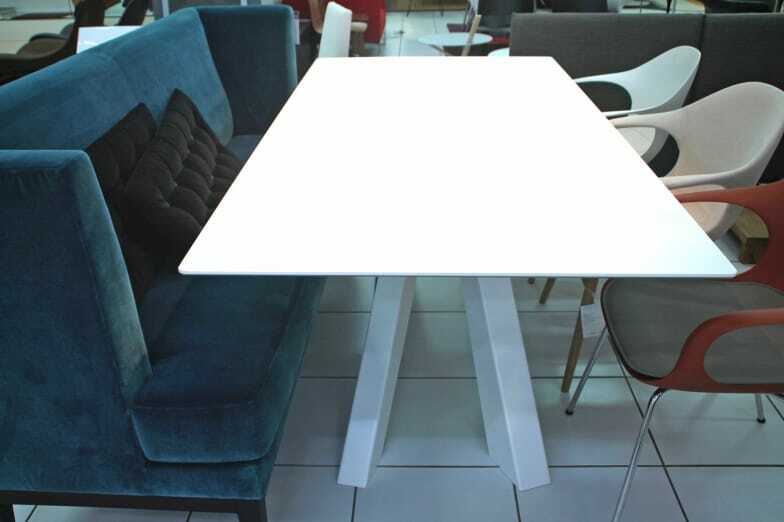 The legs of Big Table are made of laser-cut steel, painted matt in different colour combinations, table top is available in many materials and finishes - glass, wwod or ceramics. Big Table is available in the here offered fixed and as well in a extendable version. Do you have a question about "Big Table (fixed)"? How can we contact you?